Start your engines! 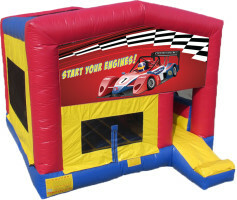 Accelerate your party with this racing-themed combo bounce house and slide. It is perfect for anyone who enjoys speeding into a good time.